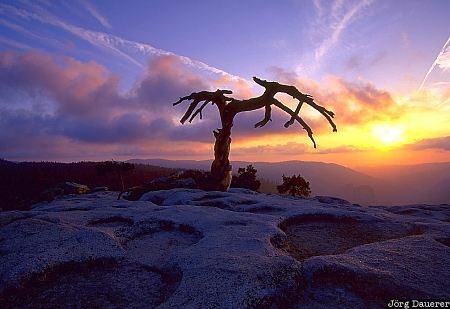 Jeffrey Pine on top of Sentinel Dome in front of a magical sunset in Yosemite National Park in the Sierra Nevada of eastern California, United States. This photo was taken at the end of a cloudy day in late September 2002. This photo is part of the exhibition Trees (October 2007).